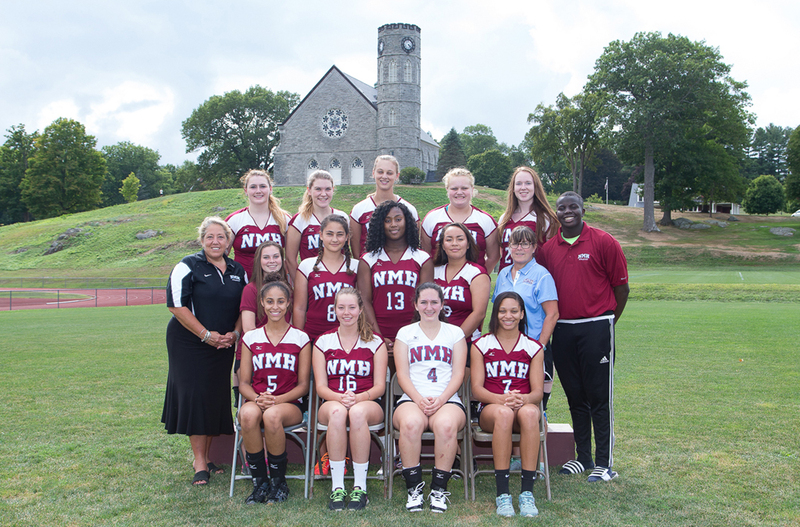 This fall Ellinore is playing on the varsity Volleyball team at NMH. 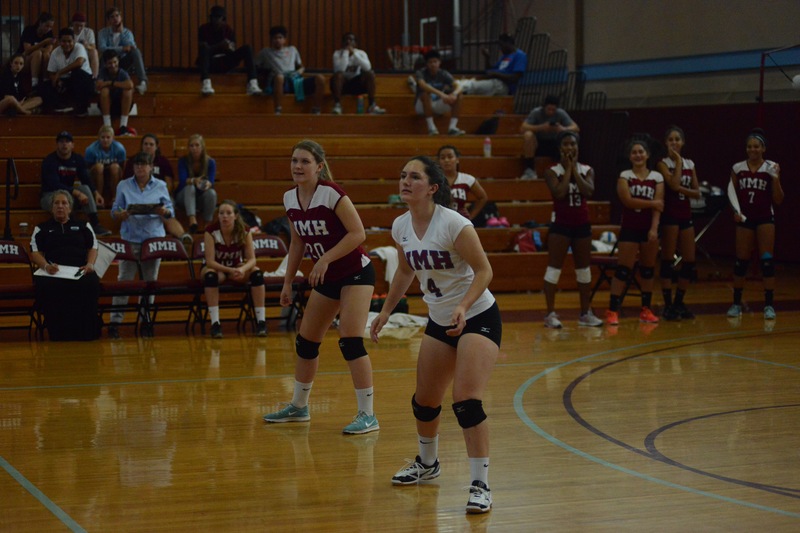 Volleyball has long been a part of NMH. As it is explained on the NMH Athletics web site, “Located near the birthplace of volleyball in Holyoke, Massachusetts, NMH has fielded varsity and JV volleyball teams for more than 25 years.” Her team competes in the Class A division of the New England Preparatory School Athletic Conference (NEPSAC). 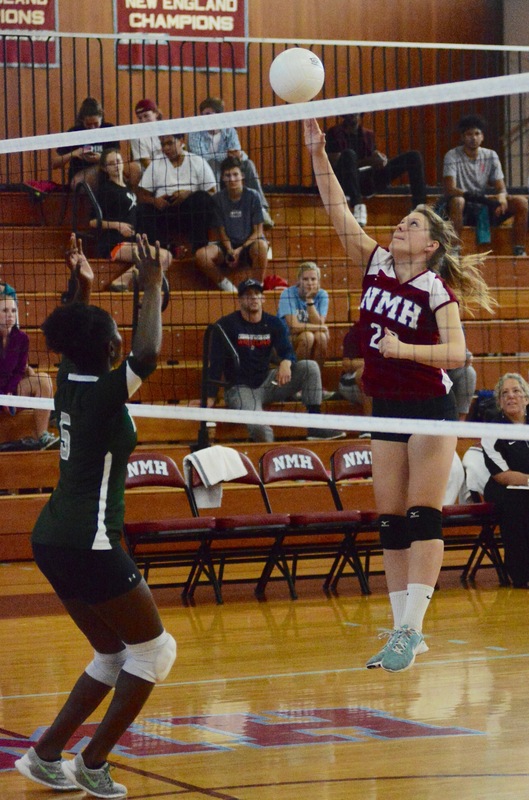 Over the years, NMH girls’ volleyball has captured seven New England prep-school titles. 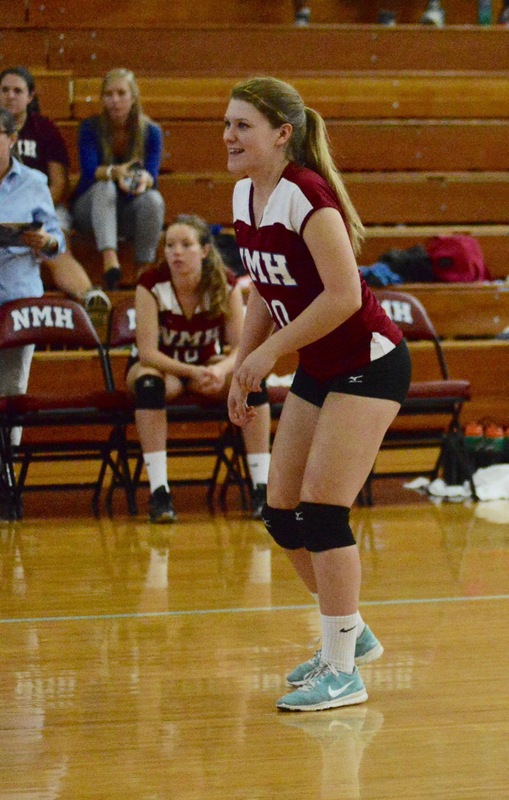 One Response to "Volleyball at NMH"
That’s my girl! 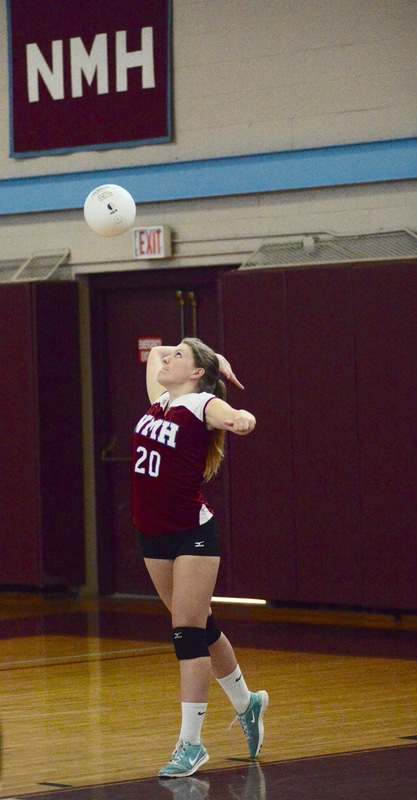 She looks taller – very much taller …guess that is what volleyball requires!